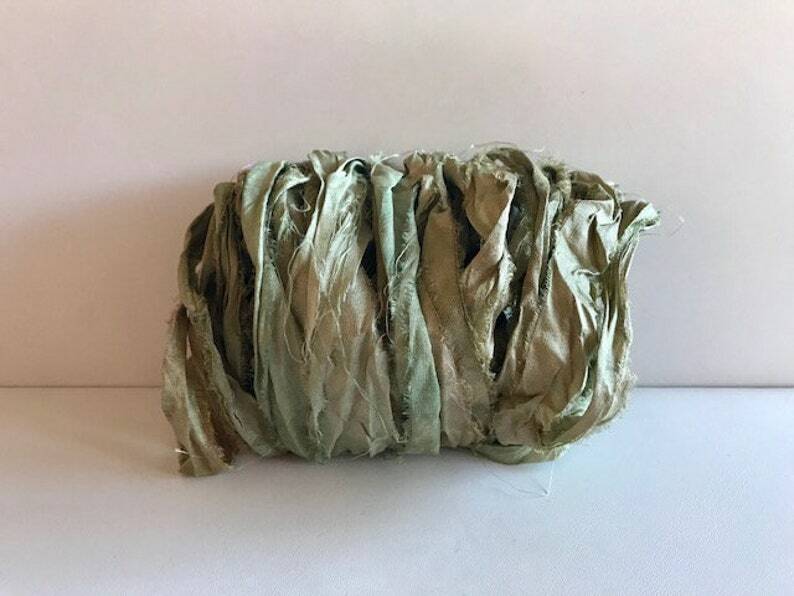 Sari Silk Ribbon is so luscious with color. Sari's are torn into strips and knotted or stitched end to end. The ribbon has raw edges and the threads that linger come away very easily to make a smooth looking ribbon. Great colors! fast shipping Thank you. Great seller, super quick delivery! Can't wait to use these! Beautiful ribbons. Quick shipping too!